HOUSTON (July 30, 2018) – There is one test that students who want to participate in school sports must take during the summer—a sports physical exam. Most sports programs in Houston area schools require the exam to determine if the student athlete is able to participate safely in a chosen sport and other extracurricular activities. 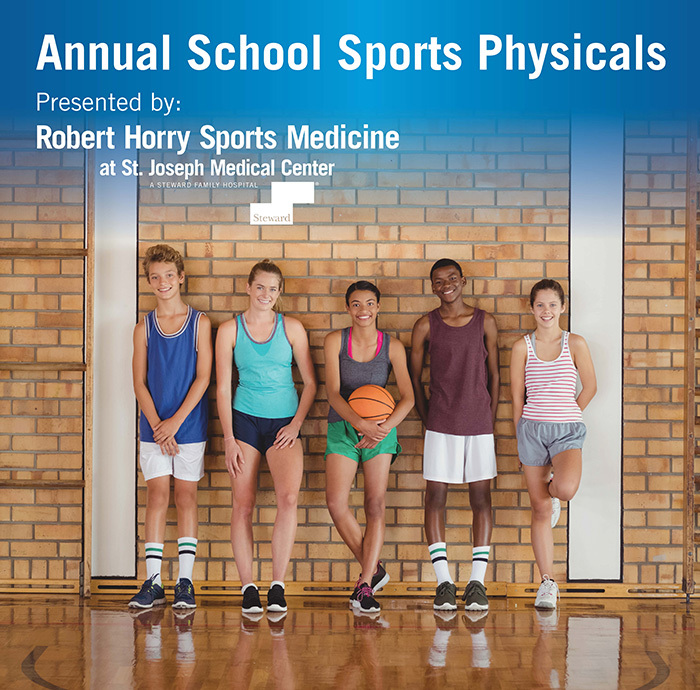 Robert Horry Sports Medicine at St. Joseph Medical Center is offering these physicals for $15 on Saturday, August 18 from 8 a.m. – 1 p.m. St. Joseph physicians will check the athlete's vitals, joints, flexibility and vision. A short fitness assessment will also be included. Each student must bring a completed copy of their school’s physical evaluation form and the student’s prescription for eyeglasses or contacts if applicable. The sports physical exams will take place in the St. Joseph Medical Center Pavilion located at 1401 St. Joseph Parkway. Complimentary parking is available in the West Parking Garage, just across from the Pavilion or valet parking is $8. Advanced registration is preferred, and those who pre-register by Friday, August 10 will receive a free gift. To register, visit sjmcsportphysicals.eventbrite.com or for more information call 713-756-5051.